Born in 1930 in San Francisco, the son of a steel worker, Eastwood was a college dropout from Los Angeles College, attempting a business related degree. He found work in such B-films as Tarantula (1955), and Francis in the Navy (1955) until he got his first breakthrough with the long-running TV series “Rawhide” (1959). As Rowdy Yates, he made the show his own and became a household name around the country. But Eastwood found even bigger and better things with Per un pugno di dollari (1964) (“A Fistful of Dollars”), and Per qualche dollaro in più (1965) (“For a Few Dollars More”). But it was the third sequel to “A Fistful of Dollars” where he found one of his trademark roles: Buono, il brutto, il cattivo, Il (1966) (“The Good, The Bad and The Ugly”). The movie was a big hit and he became an instant international star. Eastwood got some excellent roles thereafter: Where Eagles Dare (1968) found him second fiddle to Richard Burton but to the tune of 800,000 dollars in this classic World War II movie. He also starred in Coogan’s Bluff (1968), (the loose inspiration to the TV series “McCloud” (1970)) and the unusual but successful Paint Your Wagon (1969). In 1970 Eastwood went in an experimental direction again with the offbeat Kelly’s Heroes (1970), which was yet again a success. 1971 proved to be his best year in films, or at least one of his best. He starred in the thriller Play Misty for Me (1971) and The Beguiled (1971). But it was his role as the hard edge police inspector in Dirty Harry (1971) that gave Eastwood one of his signature roles and invented the loose-cannon cop genre that has been imitated even to this day. Eastwood still found work in Spaghetti westerns like High Plains Drifter (1973), Joe Kidd (1972) and Hang ‘Em High (1968). Eastwood had constant quality films with Thunderbolt and Lightfoot (1974) and Magnum Force (1973), a sequel to Dirty Harry (1971), but 1976 found Eastwood with even more legendary films. The first was The Enforcer (1976/I), often considered to be the best “Dirty Harry” sequel, and The Outlaw Josey Wales (1976), considered to perhaps be one of the quintessential westerns. As the late seventies approached Eastwood found more solid work in comedies like Every Which Way But Loose (1978) and in thrillers like Escape from Alcatraz (1979), but he seemed to have lost his edge in making great films. In the early eighties Eastwood made credible movies with Honkytonk Man (1982) and Firefox (1982) , but it was the fourth sequel to ‘Dirty Harry’, Sudden Impact (1983), that made him a viable star for the eighties. At this time Eastwood seemed to be competing with Burt Reynolds as America’s top movie star. In the mid-eighties Clint made some solid movies but nothing really stuck out. Tightrope (1984), City Heat (1984) (with Reynolds), and others were solid but not classic films. In 1988 Eastwood did his fifth and up to this point final “Dirty Harry” movie, The Dead Pool (1988). Although it was a success overall it did not have the box office punch his previous films had. About this time with outright bombs like The Rookie (1990) and Pink Cadillac (1989), it was fairly obvious Eastwood’s star was declining as it never had before. He then started taking on more personal projects such as directing Bird (1988), a biopic of Charlie ‘Bird’ Parker, and starring in and directing White Hunter Black Heart (1990), an uneven, loose biography of John Huston. But Eastwood surprised yet again. First with his western, Unforgiven (1992), which garnered him an Oscar for director, and nomination for best actor. Then he took on the secret service in In the Line of Fire (1993), which was a big hit, followed by the interesting but poorly received drama, A Perfect World (1993), with Kevin Costner. Next up was a love story, The Bridges of Madison County (1995), but it soon became apparent he was going backwards after his brief revival. Since “The Bridges of Madison County,” his films have been good but not always successful at the Box Office. Among them were the badly received True Crime (1999) and Blood Work (2002), and the well-received Space Cowboys (2000). But he did have a big success directing Midnight in the Garden of Good and Evil (1997). Eastwood has seven children, has been married twice, and had a long time relationship with frequent co-star Sondra Locke. 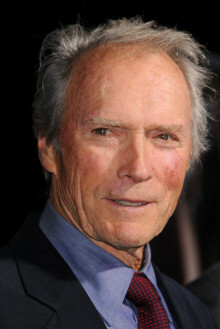 Although he is aging now, Clint Eastwood has surprised before, and who knows, he may surprise again. Do you want to hire Clint Eastwood? Directly request a quote. In 48 hours we can send you the availability of Clint Eastwood If you would like to book Clint Eastwood, Entertainment Booking Agency is the right place. We will offer you the best price and contact the management or we directly contact Clint Eastwood. For corporate appearances or speaking engagements you can contact our agents and the will help you true the process. Tags: hire Clint Eastwood, Clint Eastwood booking, book Clint Eastwood, Clint Eastwood appearances, find more information on booking Clint Eastwood for appearances, Clint Eastwood speaking engagements, Clint Eastwood endorsements/spokesperson, Clint Eastwood appearance fees, Clint Eastwood booking agency contact info, biography of Clint Eastwood, Contact an artist booking talent agent find a speakers bureau that can book Clint Eastwood, speaker booking agency for Clint Eastwood, Clint Eastwood booking agency, Clint Eastwood booking for corporate event. EBA is one of the biggest entertainment booking agencies in the World. We book hundreds of celebrities, artist, athletes and speakers in a year. Important to know is that we are not claiming to be the management of Clint Eastwood. We are not the official agent for Clint Eastwood. Companies from around the globe book these artists and speakers true our company be course we have one of the biggest networks and we always have direct contact with the artist or the management. We help you to find the right celebrities for your corporate of private events. Please contact one of our agents to get free advice and we will help to get the world-famous artist on your party.